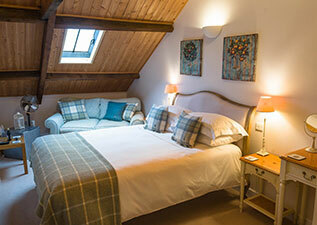 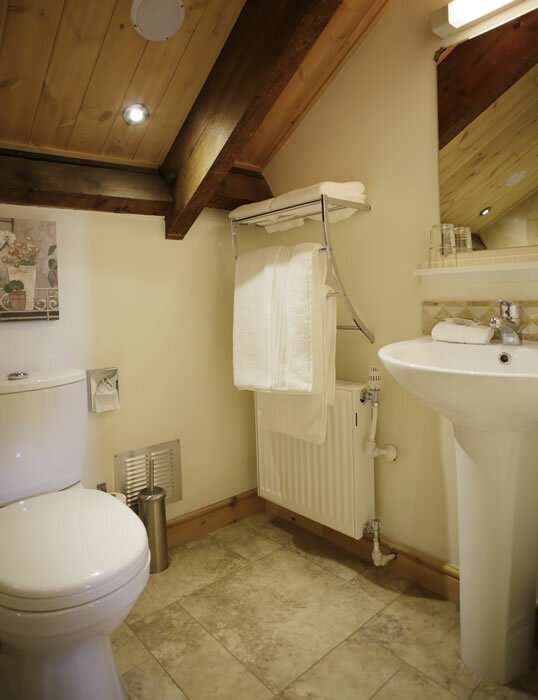 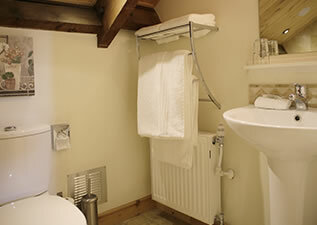 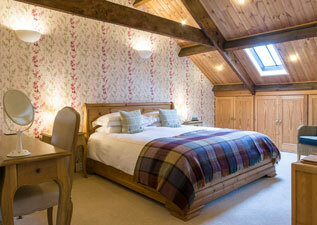 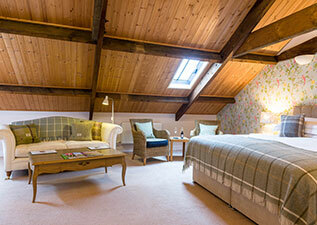 The Wharfedale Room is an en-suite room with a luxury king size (5ft) bed and relaxing sitting area with comfy sofa. The room is furnished with quality Laura Ashley furniture including a dressing table with chair, wardrobe and chest of drawers. The comfy bed has soft 100% cotton bedding, duck feather and down duvets and pillows (hypo allergenic available on request). 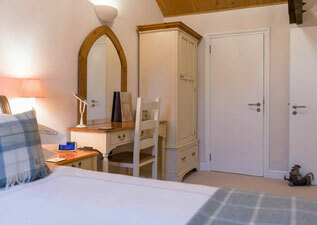 A quality flat screen TV/DVD, alarm clock with weather station, fridge and tea/coffee making facilities are provided. 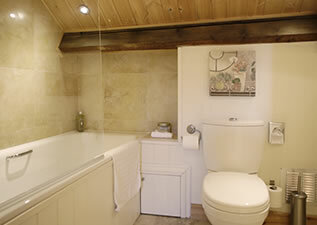 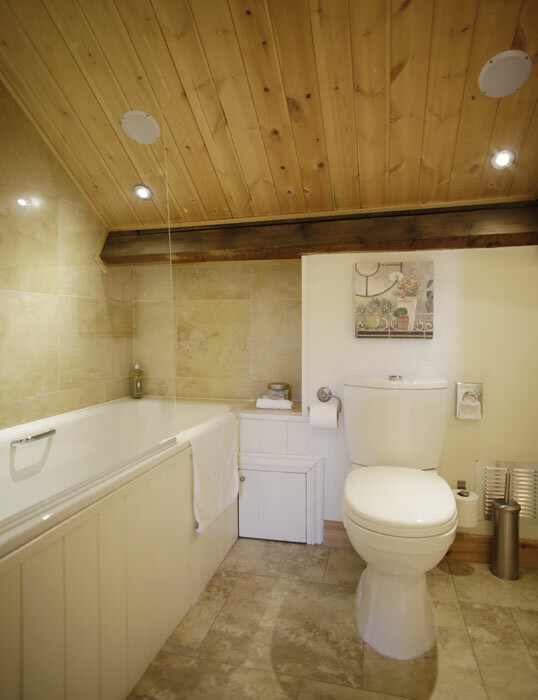 The en-suite consists of a full size bath with a shower.